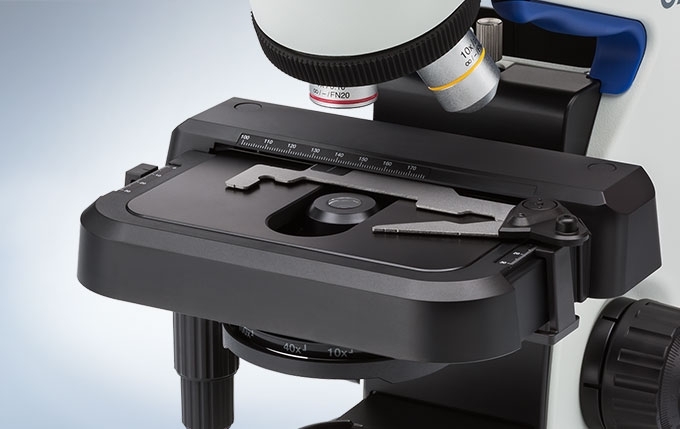 Designed for operational ease, the CX23 microscope’s unique features accommodates the student and every requirement in the educational setting. 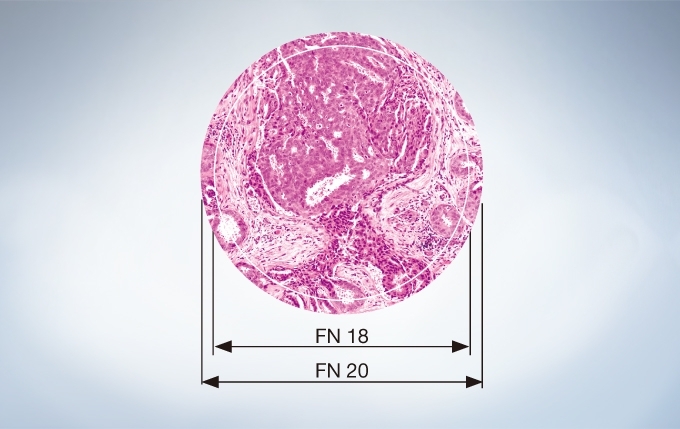 This cost-effective system provides easy and safe operation throughout the workflow and ensures outstanding optical performance with large field number (FN) 20. Also, the built-in LED light source provides uniform and stable illumination for long term with low power consumption, and its reduced blue color preserves vivid colors of the sample. 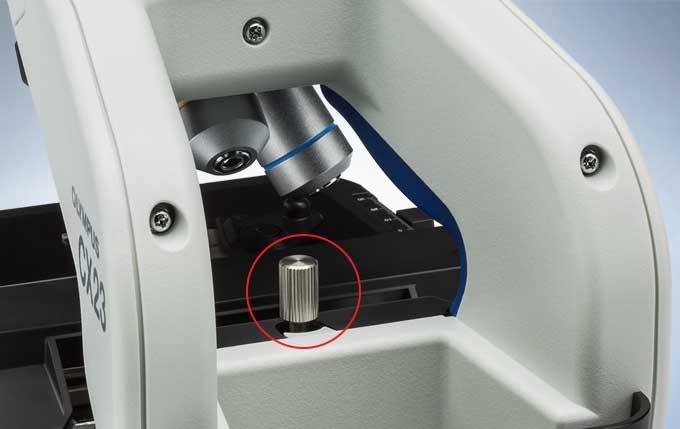 Ergonomically designed, the CX23’s molded grips add comfort and safety when retrieving the microscope from high places, such as shelves. 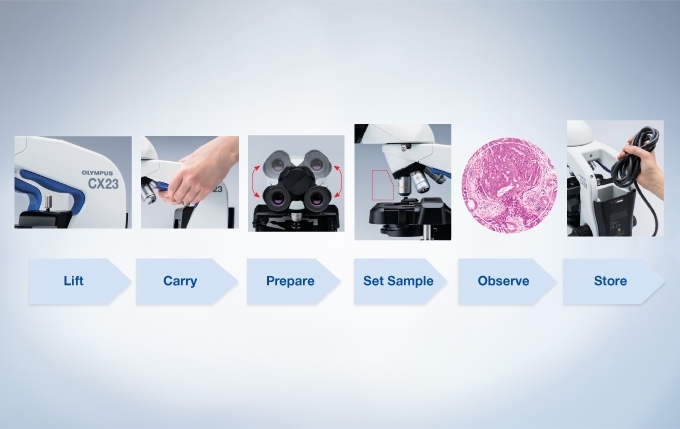 Additionally, their blue color clearly indicates where to hold the microscope. 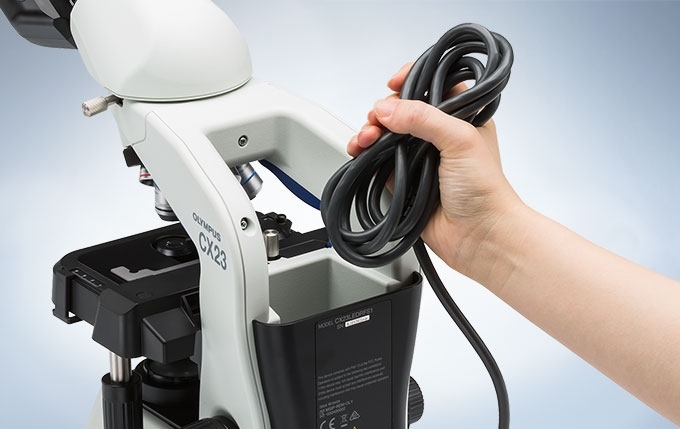 The CX23 is one of the lightest weight microscope in its class, with a total weight of approx. 5.9 kg(13.01 lbs). The CX23 features a carrying arm angled to keep the wrists in a comfortable, neutral position. The eyepieces can be fixed in place to help prevent damage or loss during transportation. A rotational binocular tube can be locked for secure positioning. Interpupillary adjustments, ranging from 48 to 75 mm, allowsindividual users to set to their needs. Likewise, eyepoint adjustments accommodate the user’s height and provides greater comfort. A rackless stage and stage cover give safety and stable longtime operation. The focus lock prevents objectives and specimen from any damage. 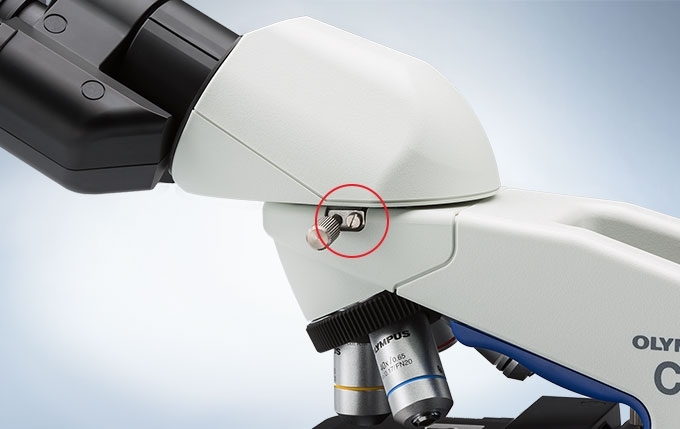 Bring specimens quickly into focus by using the coaxial knobs for fine or coarse adjustment. Durably built for movement and precise control, whether accessed from the left or right side. 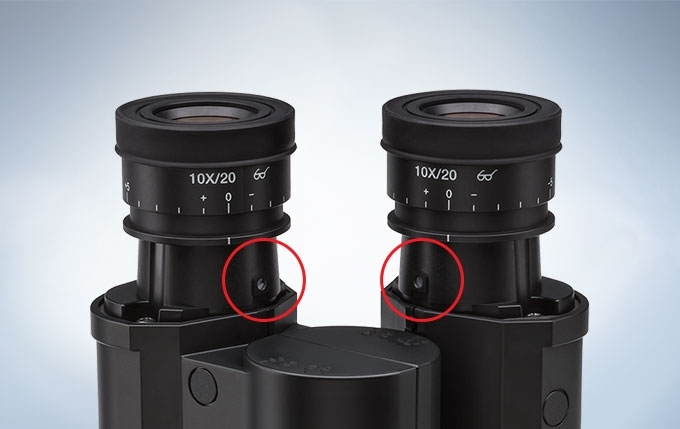 Left and right diopter adjustment enable optimal focus for each eye. Easily set and exchange specimens or add oil for the immersion objective with the CX23's inward-facing revolving nosepiece design. Allowing for more space above the stage, this design also protects specimens from objectives with a long working distance. A storage compartment at the back of the CX23 makes it easy to stow the power cable after use. Protect your investment further with an optional custom designed wooden case. 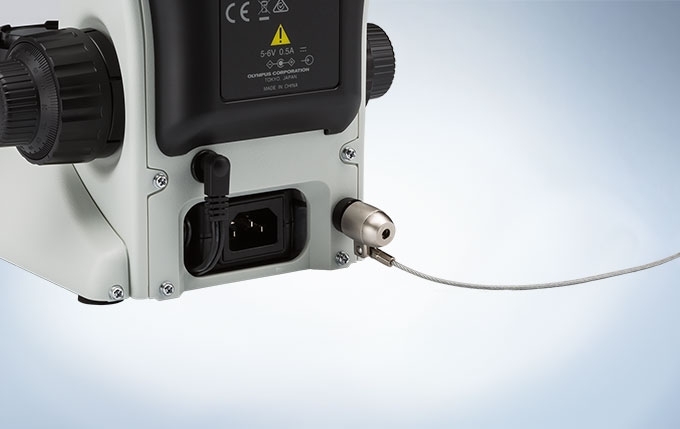 For added reassurance in situations when the CX23 needs to be left unattended, a built-in security slot allows attachment of an antitheft cable. 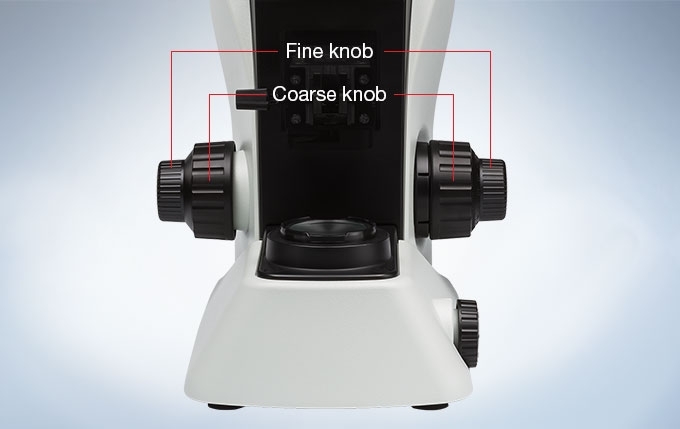 The CX23 allows users to see more with a greater field number than standard microscopes in this class. 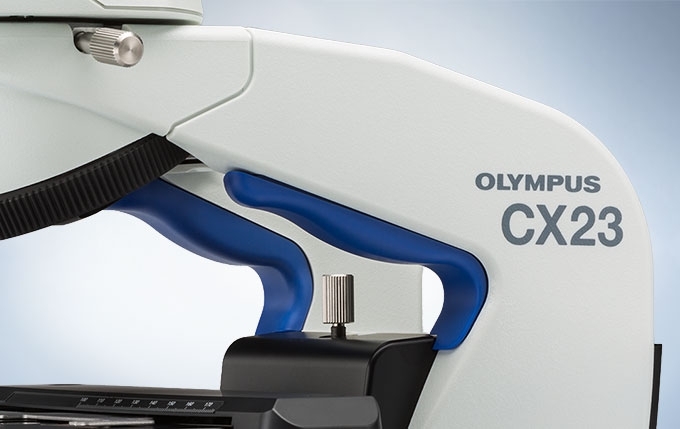 The CX23 features plan achromat objectives that preserve outstanding image flatness throughout the field of view. 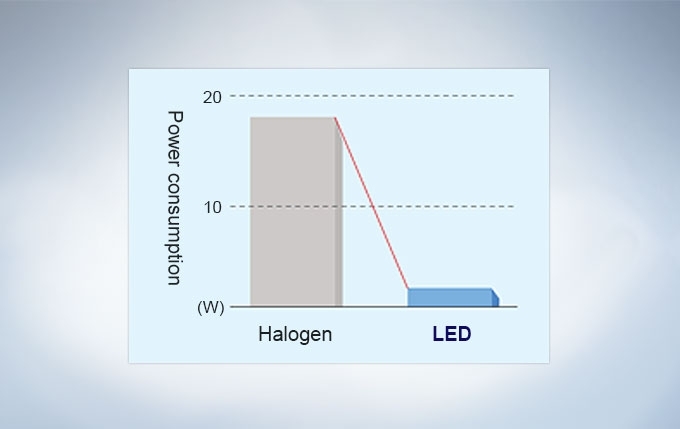 The LED light source provides long life time of 20,000 hours, and offers low power consumption. Also, its reduced blue color preserves vivid colors on HE staining. 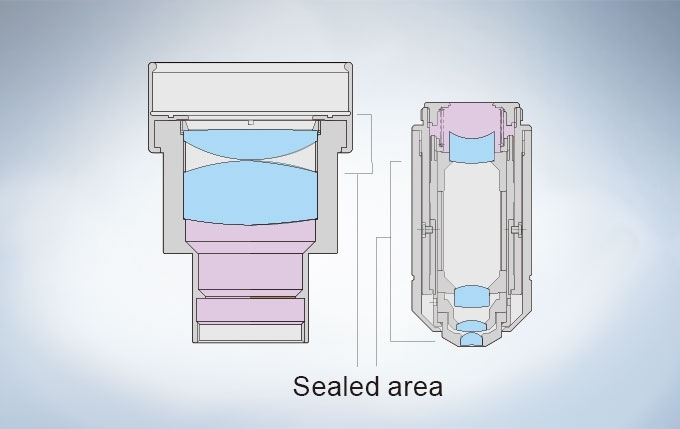 Damage when excessive force is applied to the coarse focus or stage knob is prevented with a built-in torque release function. 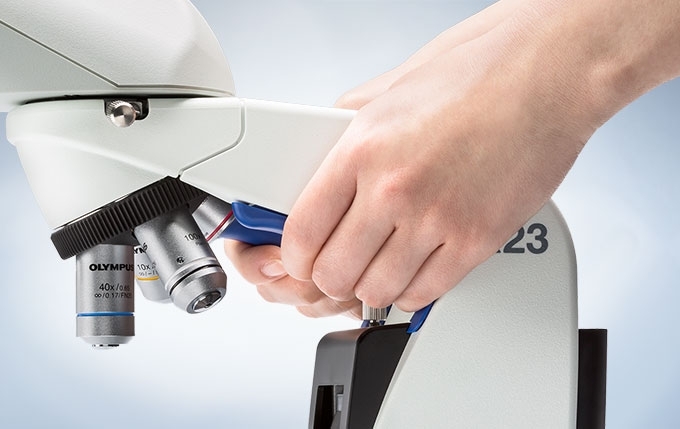 Many microscopes are vulnerable to mold and other fungi when used in hot, humid environments. 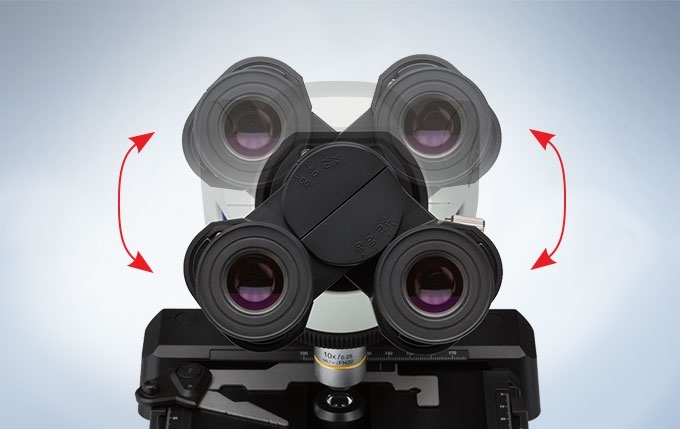 The objectives, eyepieces, and observation tube of the CX23 have all undergone anti-fungus treatment, enabling optimal viewing and greater durability.